For Ireland, the EU and the UK, Brexit is uncharted territory. Therefore, Ireland’s resolve over the EU Withdrawal Agreement must hold, writes Brigid Laffan (EUI). She argues that keeping the backstop in the deal is at the core of the country’s national interest. Ireland is a small state with no illusions concerning the limits of its power and influence in shaping the world beyond its borders. 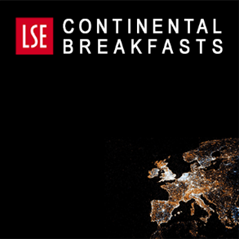 It has a preference for multilateral institutions governed by treaties and law that serve to take the hard edge off raw power. Irish politicians and diplomats are most comfortable when part of an emerging consensus in EU and international negotiations. Like all states, Ireland strives to protect and promote its interests. This has rarely required Irish interests to be at the epicentre of highly charged and contentious multilateral negotiations. Brexit alters this as it goes to the heart of Ireland’s political, economic and geo-strategic interests. The Irish government and diplomatic service have had to put Irish interests at the core of the EU agenda, keep them there and engage in very conflictual negotiations with our near neighbour, the United Kingdom. The stakes could not be higher. For Ireland, the EU and the UK, this is unchartered territory as Ireland is a remaining EU state and the UK a departing one. Resolve, determination and nerve have characterised Irish responses to thinly disguised pressure from the UK side. This resolve and determination stem from the conviction that these negotiations are profoundly important to the future of the island. The Irish government has invested enormous state capacity and resources in ensuring that all member states and EU institutions understand the implications of Brexit for Ireland. That they succeeded in placing Ireland as one of three issues to be addressed in the Withdrawal Agreement, is evidence that Ireland’s EU partners accepted their case as compelling and substantive. Member states earn the backing and solidarity of their partners, it does not come automatically. As a departing member state, the UK government underestimated the seriousness with which the EU would pursue Irish interests as collective EU interests in the negotiations. 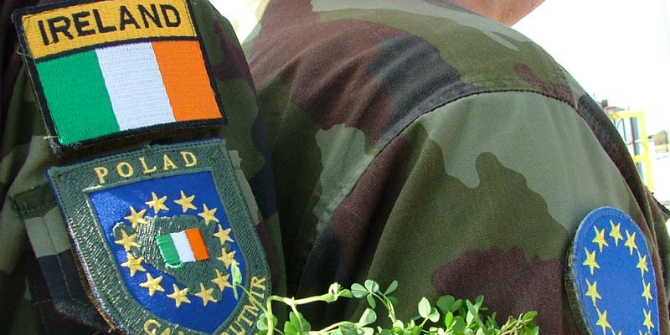 Shamrocks alongside Irish troops serving with the EUFOR mission in Bosnia. Image by Óglaigh na hÉireann, (CC BY 2.0). Now that the endgame in the Brexit negotiations has arrived the focus is once more on Ireland as the backstop has been framed by the UK government and House of Commons following the Brady amendment as the obstacle to the agreement. Prime Minister May has been sent back to Brussels to get rid of the backstop and agree ‘alternative arrangements’ to solve the Irish border conundrum. It is crucial to remember that the departure of the UK from the EU, notwithstanding the fact that a majority in Northern Ireland voted to remain, was always going to be extremely challenging but it is the manner of the UK’s departure that has made it so difficult to address the complex problems it generates. The problem lies squarely in the preferences set out by PM May in January 2017 in her Lancaster House speech. There she outlined a set of incompatible preferences-departure from the single market and customs union while at the same time no hard border on the island of Ireland, which would be the UK’s only land border with the EU. Her pledge to Ireland was reiterated in the Art.50 notification letter of March 2017 where she stated that the UK’s departure should not damage Ireland and the Good Friday Agreement (GFA). The Irish government is determined that the UK live up to these commitments. 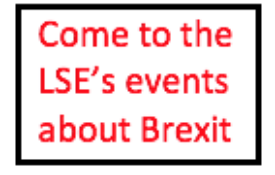 The prospect of a disorderly UK exit is becoming ever more likely as negotiating time runs out and the UK still does not know what it wants or what can be agreed in the Commons. Given the costs and consequences of a no deal for Ireland including the Irish border, it is inevitable that the backstop comes into play again. What should or could the Irish government do in these highly charged circumstances? The Irish government must stick to its core demand of no physical infrastructure on the Irish border because any visible change that alters exchange across the border would not receive the consent of those who live on either side. Memories are too recent and too raw to countenance any change. The backstop was negotiated to address this by ensuring that the necessary checks and regulatory alignment would continue to avoid a hard border ‘unless and until’ the backstop is superseded by agreement on the future relationship between the EU and the UK. In a major concession to the UK, the EU offered to enchase the backstop in a UK wide customs union. Now let’s see what the ‘alternative arrangements’ mentioned in the Brady amendment might mean? The first thing to say is that during the 18 months of negotiations, the UK government offer was a paper in summer 2017 and later the Chequers proposals in summer 2018. Both were rejected by the EU as way beyond anything that the EU might agree and in any case, they were deemed unworkable. Moreover, the negotiators examined in a very thorough manner all so-called ‘alternative arrangements’ and concluded that there was no border on earth that could be handled with what was on offer from the UK side. When PM May phoned Donald Tusk following the Brady amendment, she was asked what ‘alternative arrangements’ she proposed; her reply was that London was still working on it. The fact that the PM voted against her own deal in the Commons and cannot outline what her alternative proposals are in a credible manner less than 60 days from exit completely undermines her credibility and trustworthiness as a negotiating partner. Inevitably, this makes the Dublin government really nervous but also reinforces their belief that a backstop is absolutely necessary. The Irish government will hold firm to its core objectives which are to ensure no hard border on the island and the protection of the EU’s single market. It is in Ireland’s interest that the UK exits the Union in an orderly manner, but as PM May has reiterated many times in the course of these negotiations, ‘no deal is better than a bad deal’, the same holds true for Ireland. The Irish government will continue to be open to reasonable and credible requests from London but this will not extend to believing in the fantasies perpetuated by the right of the Conservative party or the DUP which is not fully representative of opinion in Northern Ireland. This could extend to a serious attempt to find alternative arrangements over the next 2 years but in the context of the backstop not as a substitute for it. Ireland finds itself in an uncomfortable and tense environment but this will not deter the Irish government from pursuing what are vital national interests. 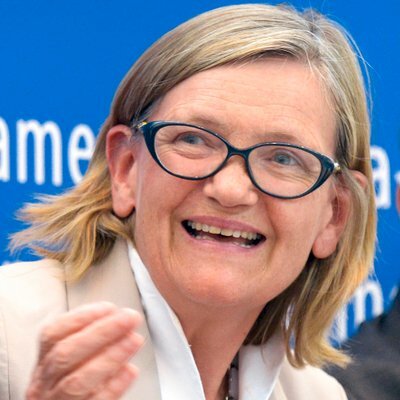 Brigid Laffan is Director of the Robert Schuman Centre for Advanced Studies, European University Institute (EUI), Florence. The Irish will anyway have a veto on any future trade agreement. Hence the only situation where the backstop would be necessary is if there is “no deal”. Ironically the insistence on this measure could create exactly the situation that it is intended to prevent. @Anne Deighton Economically, it’ll be the UK who will want border checks to lessen the inevitable smuggling and keep it from hitting industry on their side. The UK and particularly the NI will be the weaker economy at risk of being flooded by cheaper goods from its stronger neighbour. Traditionally smuggling was a money raising activity for paramilitaries and it will likely be used as such again. If there is a hard Brexit, it is very likely that a border poll will happen inside five years, which may happen anyway. Due to economy of scale, this will bring a boost to both sides of the former border, particularly NI. This will no doubt go along way to softening Unionist attitudes. It would also bring a large shift in the Irish political landscape, making Sinn Fein the only real all Ireland party, leaving everyone else to play catch up(though some are already trying). One other point. Even in a no-deal Brexit, the UK’s obligations under the GFA continue to exist. I have no idea how the UK would fulfil its obligations, but they don’t go away.